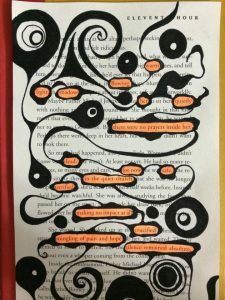 Found Poetry for the Everyman with Amanda Pruneda - Steph's Studio Inc.
Who: Anyone who loves to create! 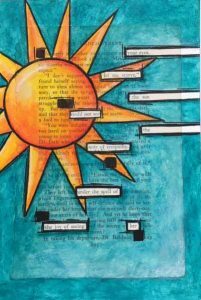 What will we do: Amanda will demonstrate how to find poetry in the world around you, and how to turn it into art. 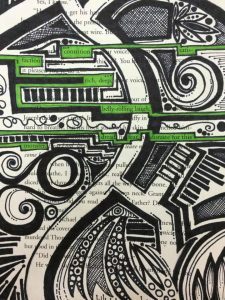 What to bring: Colored pens, markers, sharpies, highlighters, colored pencils, etc. and YOU ready for an evening out of FUN! 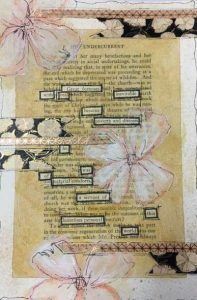 Overview…you will take pages from old books and “find” poetry inside the pages. 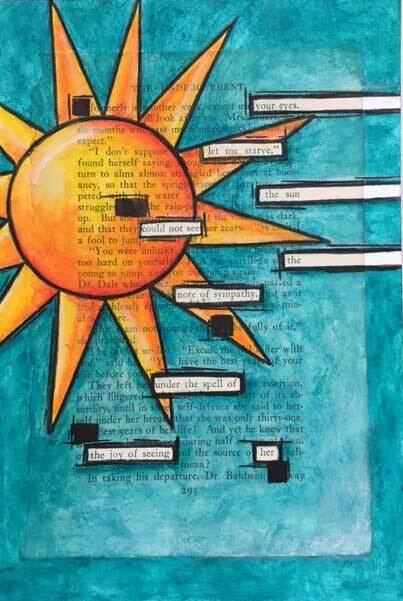 Once you narrow down your poem, you will decide how to highlight it. 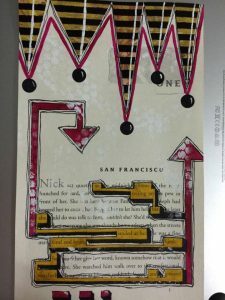 And finally, you will “art” it up with collage items, paint, stamps, zentangles, or doodling.